The MP, who is known for making controversial remarks, said the Modi wave of 2014 has turned into a tsunami in 2019 and no one can stop him from becoming the prime minister again. 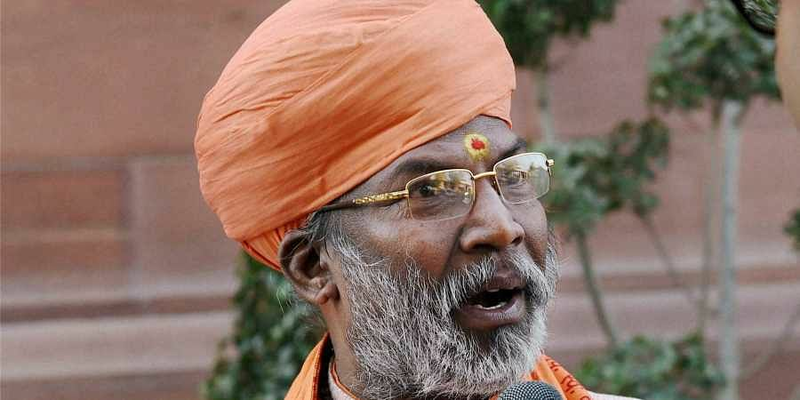 UNNAO: Local BJP MP Sakshi Maharaj has said that the upcoming Lok Sabha polls will be fought in the name of the country and there will be no elections after that. "The Modi tsunami has awakened the country. I feel there will be no election in 2024. This is the only election and we are fighting it in the name of the country with full honesty," Sakshi Maharaj said during a party programme here on Friday. "I think the results will be better than before," he said. "Some people are doing all kind of things. Bringing Priyanka (Gandhi Vadra) or forging alliances but our leader is Modi and everyone has been saying "Modi hai to desh hai". These elections will not be fought in the name of any party or Sakshi Maharaj, but in the name of the country," he said. The Congress has appointed Priyanka Gandhi Vadra as its eastern Uttar Pradesh general secretary in-charge. The Akhilesh Yadav-led Samajwadi Party and the Bahujan Samaj Party of Mayawati have entered a pre-poll alliance to defeat the BJP in the state.